Hoist the sails! It's time to search the seas with your favorite dino friends. Join your favorite dinosaur friends on an adventure in the seas! Hoist the sails, press the sound buttons, and laugh along as a Triceratops, a Stegosaurus, a T. rex and more search for treasure. 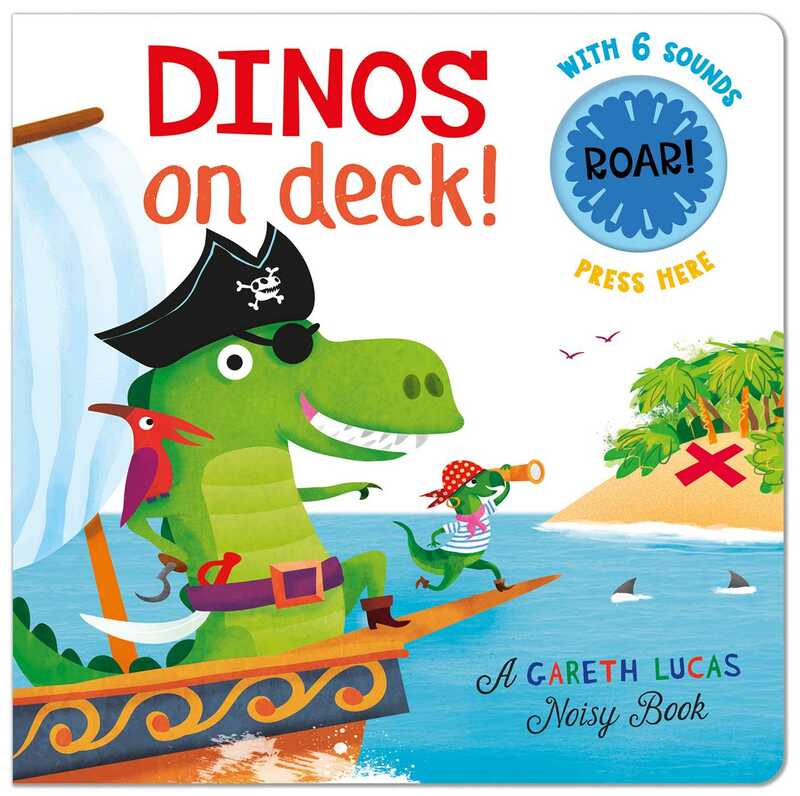 With humorous art by Gareth Lucas and charming rhyming text, this sound book will be a perfect addition to story time. What will these dinosaur friends find when they open the treasure chest? Gareth Lucas studied illustration at Brighton and has been published internationally, often collaborating with his wife, who is also an illustrator. His creative talents are not limited to illustration: Gareth teaches graphic design and guitar, and when he has a moment to spare, you can find him in the park with his kids. Book Cover Image (jpg): Dinos on Deck!